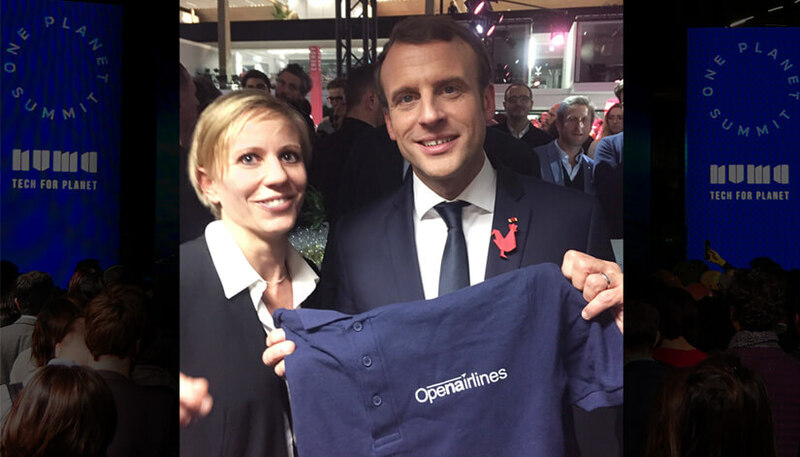 Organized by NUMA at Station F, the world's largest startup Campus, with The French Presidency, BNP Paribas, Microsoft, and Schneider Electric, and with the support of SUEZ, OpenAirlines was selected to join the world best startups who offer disruptive solutions to fight climate change. Designed as an introduction to the One Planet Summit, Tech For Planet initiative was a side-event with one goal: move from talk to action. Our eco-flying solution SkyBreathe® was chosen amongst 30 other solutions to represent the best positive impact solutions acting on climate. This event brought together IT entrepreneurs and world leaders in order to present some of the most promising innovative solutions to fight against climate change and global warming. Together, let's take a stand for our planet!